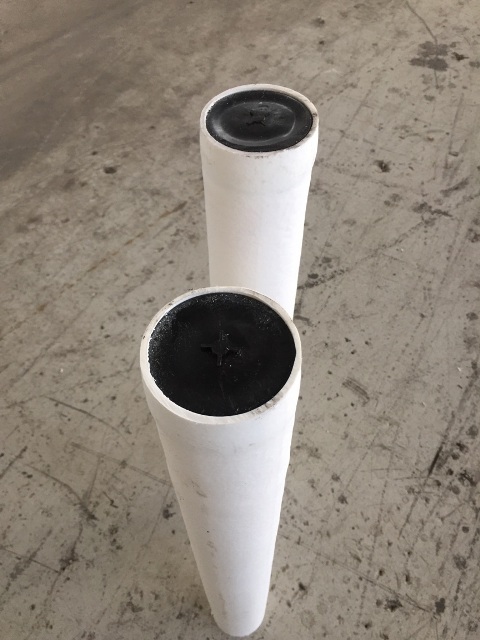 Our 123mm round white plastic coated timber post is perfect for use as a straining post with our system. The are coated in similar materials to our rail and therefore provide a similar durable finish. They never need painting. The durable polyethylene coating compliments our white horse fence rail. 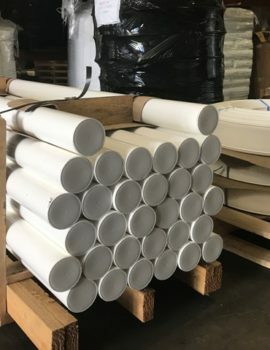 Imagine, with these posts and our rail you will never need to paint your fence again. 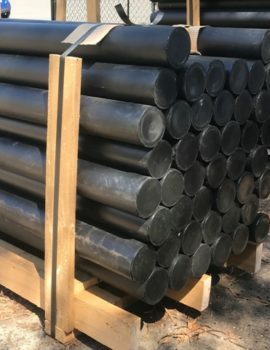 These posts provide an excellent alternative to timber posts normally used for straining posts. Horses will not chew the non palatable coating and wind sucking can be avoided. These posts will not rot with moisture exposure like timber posts and will repel termites. 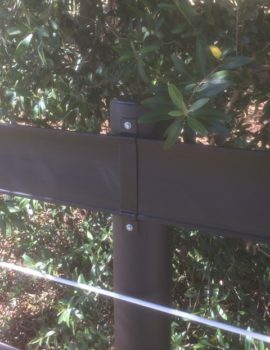 When properly braced us a H-Brace (or box brace), or double box brace, these posts are durable and long-lasting. Their attractive finish is paint free, low porosity and easily maintained. These posts are sometimes used by customers as interim posts. Perhaps when soil conditions are wet and the larger diameter and depth are relevant. For information on our standard interim posts see interim post. These posts are included in our popular arena packs. 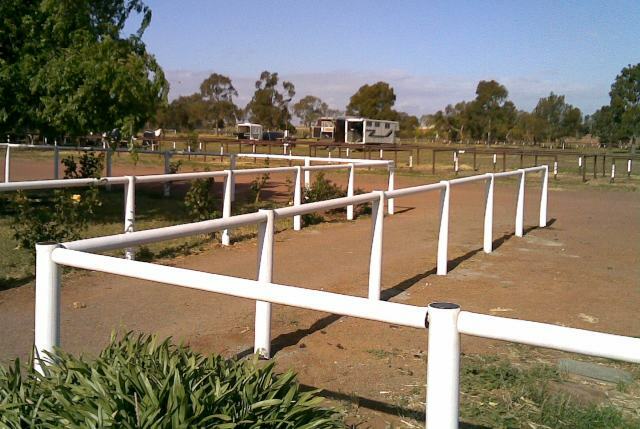 For more information see white horse arena fence kit. The posts, due to the timber core are easily screwed into. Screws will not create water entry points as the coating self seals against the thread of the screw. Care must be taken not to notch or otherwise cut through the polymer coating. The polymer coating is sealed and this is essential for long life. These posts feature a natural pine core and are completely recyclable. The are no harmful chemicals used in the timber so you can avoid all the concerns with treated pine. They provide a complete cycle solution for fence posts. 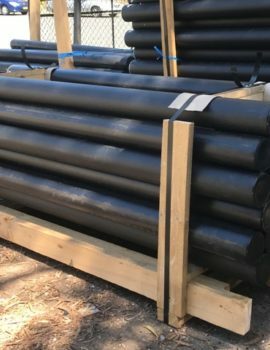 Avoid the difficulties with disposing treated pine products and use out plastic coated straining post!